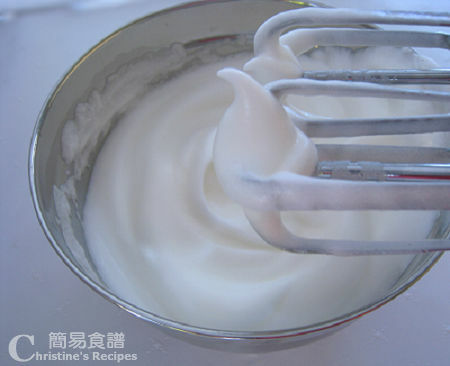 You can use lemon juice (1/2 teaspoon) to replace cream of tartar that helps stablize the egg whites. 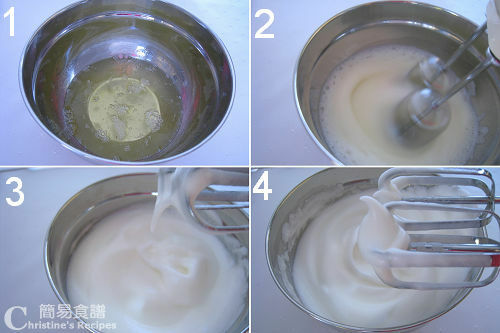 2) 如不用 cream of tartar, 效果會不會影響蛋糕的發大? 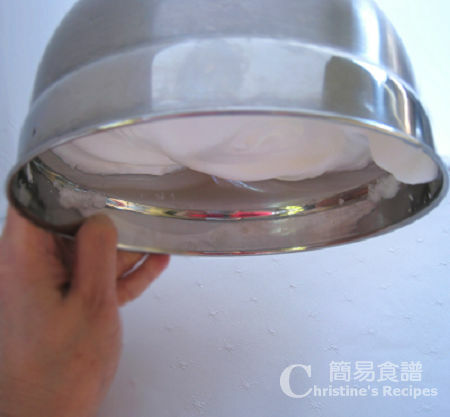 3) What is cream of tartar, can I use baking powder (發粉) to make this cake? 請問, 若先把盤及打蛋器放冰箱雪一下, 當拿出來用時, 因室温較熱, 即時用具出現有水氣... 怎麼辦? 這種水氣也會影響打發?